All over the world, strategies were dying. Thousands of businesses faced bankruptcy. People’s jobs were at stake. But what was the nefarious force killing them off? And who could save them? READ ON! Now, Technobody—maker of wearable technologies—was under attack. 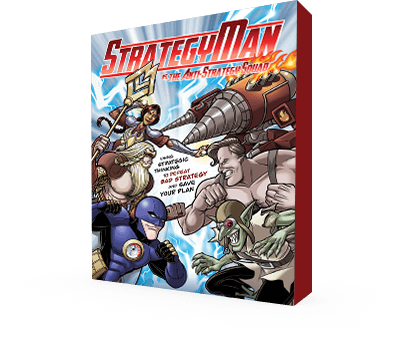 Its’ strategic plan was slowly being killed by the top 20 strategy challenges every company faces: bad meetings, fire drills, silos, and too many priorities, to name just a few. 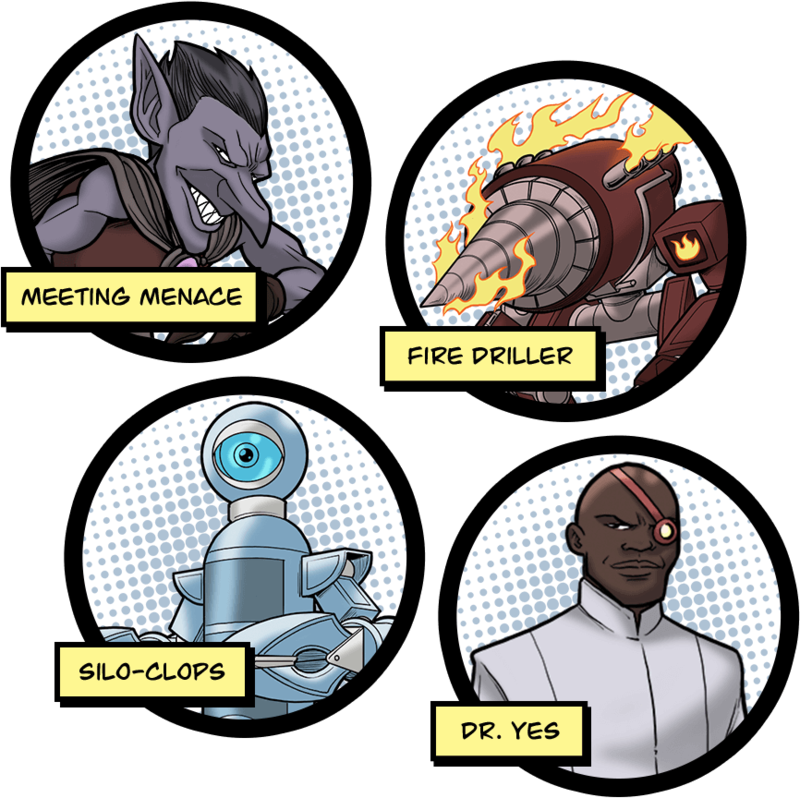 Each of these strategy challenges are represented in the members of the Anti-Strategy Squad, a gang whose mission is to cause mass strategycide and global bankruption. But, Technobody would not fail without a fight. New research shows the No. 1 most important leadership capability for executives is strategic thinking. Yet, only 3 out of every 10 people are strategic. 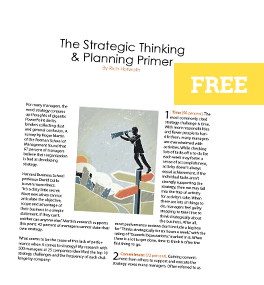 With the leading cause of business failure being bad strategy, it’s critical that you and your team are equipped with the knowledge, skills and tools to think strategically. 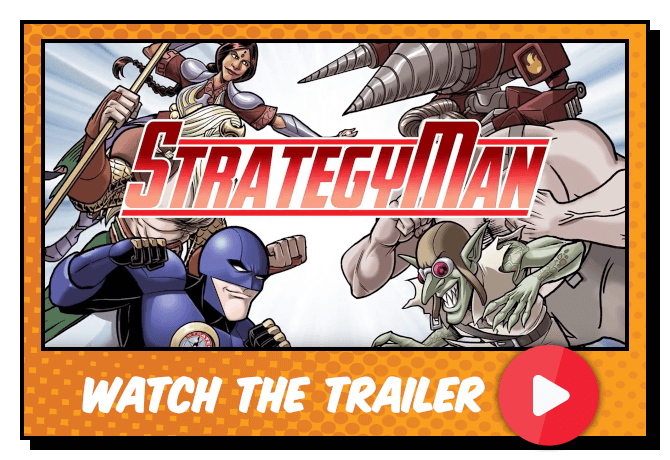 Are you a strategy superhero? 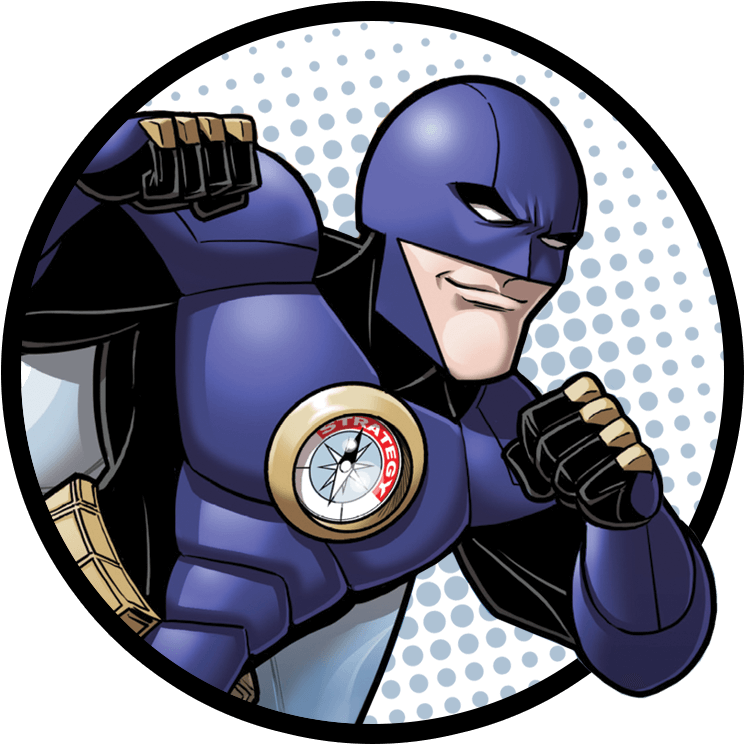 Take the quick quiz and find out! 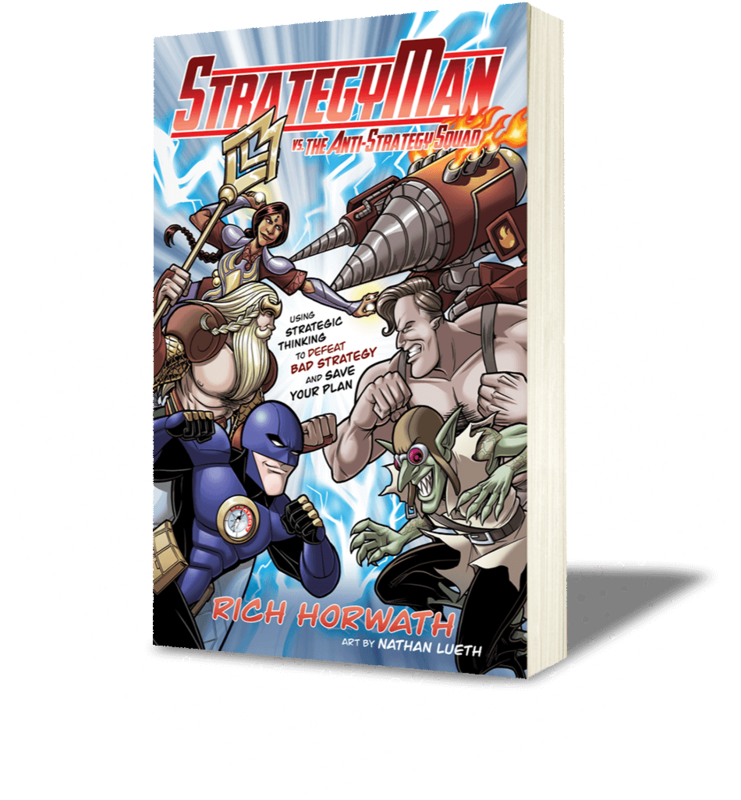 Listen to what happens when a strategy text book and superhero comic book collide in an entertaining and educational tour de force starring more than 20 professional voice actors, epic music and Emmy-award winning sound.